Quick And Easy Homemade Butter! You are here: Home / Recipes / Condiments / Quick And Easy Homemade Butter! I showed you how I make Quick & Easy Homemade Mayo last week, so I thought maybe this week I would show you how I make butter at home. 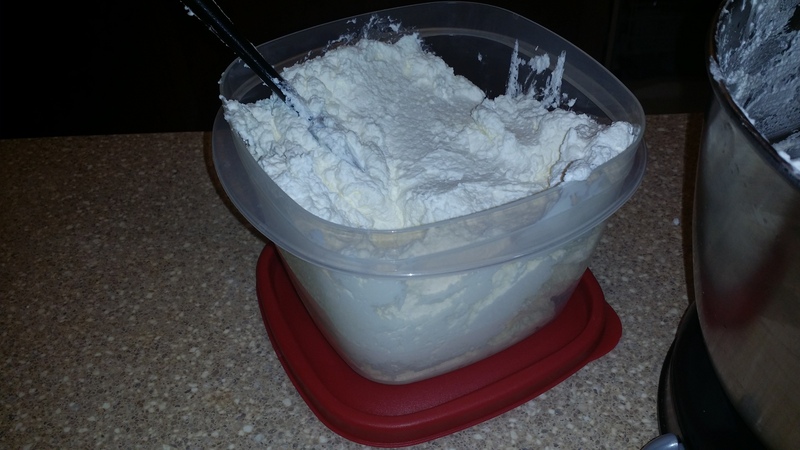 We love to have homemade butter available all the time and it is so quick and easy to make! So there you have it! 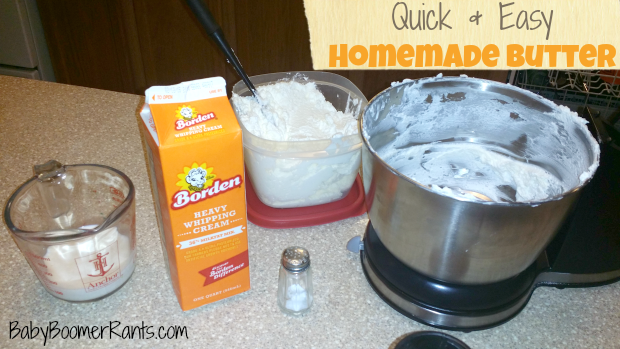 Quick & Easy Homemade Butter! But, it’s so versatile you can add anything you want to it, or use it as is. Also, you KNOW what’s in it! No weird names you can’t pronounce – you made it, so you know! What things do you make at home rather than buy? Hi. How long does the butter keep for? How long can I keep it in the fridge? Thanks! It lasts about 2 weeks for us. how long did you end up mixing it in your mixer? I haven’t timed it really. I just leave it until it’s done. There’s a soft you can stop at, or a harder like stick butter. do you know the nutritional information or how i can find out? It would depend on the heavy whipping cream you purchase. The nutritional info would be on it.